Do you need assistance with pest animals? SSAA Farmer Assist can help! We have accredited, insured and friendly members all across Australia ready and waiting to help you. Read some of the testimonials we have received from other farmers who have loved our program and the service provided by our members. Our accreditation process ensures that our members display a professional standard* shooting competency to register for the program and this standard comes without a professional price tag. Our members participate in this program as volunteers so no fees and no charges apply. They want to help you, they want to be involved in pest management and they don’t expect or want any payment from you for it. The process for you to register for the program is simple and it only takes a few minutes of your time. Help with pest animal issues is only a couple of short steps away so what’s stopping you? Firstly you need complete the online sign-up form. Finally, login and then create a job. 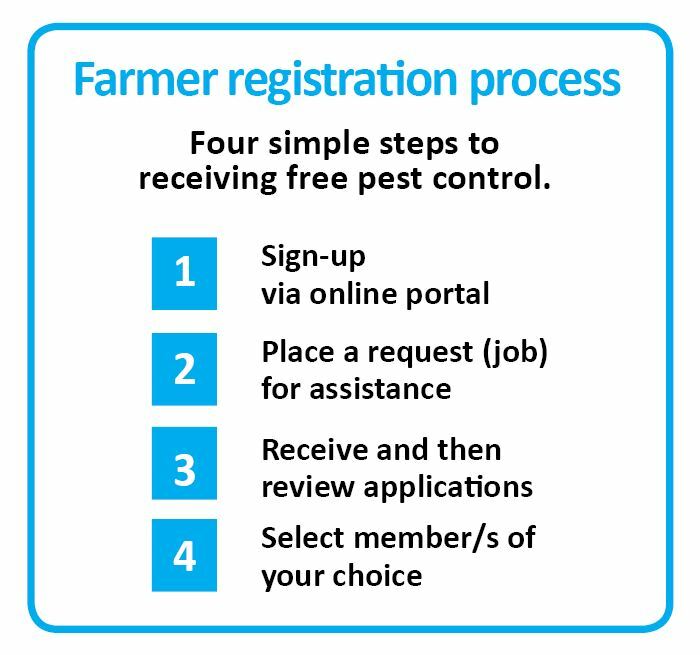 Step-by-step instructions on how to register, create and submit a job, manage applications and manage your profile can be found in the Farmers Quick Guide. This is a very useful document to help you get assistance ASAP. Once you have submitted your job, it is visible to our members straight away. Members with your postcode within their proximity settings will also receive an email the next morning alerting them to review your job to see if they can help. The next step is for you to monitor and assess applications coming in and decide which member/s you would like contact to discuss your needs further with. Remember, you have total control over who you speak to and who you invite onto your property to help. You can utilise as many members as you want or need through this program to achieve your pest management goals. You can learn more about the Farmer Assist program’s mission, objectives and member requirements by reading the Complete Program Booklet. We suggest you take the time to read the contents of this booklet, as it explains the requirements for all parties, especially the ethical and legal obligations. You also need to know your obligations in respect to state laws and hold the required permits for the destruction of native wildlife species identified as pests on your property. We have developed a few tips for you on how to get the most out of this program. See our Tips for Success to help you achieve this. We have also developed Frequently Asked Questions for farmers so if you have any questions, we may have already have an answer for you. For further information or to discuss using this program on your property, please phone SSAA National Farmer Assist National Coordinator Matthew Godson on 08 7099 6431 during business hours. *All registered SSAA Farmer Assist members have achieved a shooting skill competency equivalent to commercial professional macropod harvesters.